In an Letter dated May 18, 2016, addressed to the FMU president, Mr. Dusman Okee, the FIA President expressed great pleasure in the efforts that FMU is taking to help promote and Road Safety as outlined by the FIA’s ‘Action for Safety’ Campaign. Thank you for updating me on the strong cooperation for road safety which is being developed with the support of FMU in Uganda. I am pleased to see that the safety efforts initiated at last year’s African Congress are now making progress. 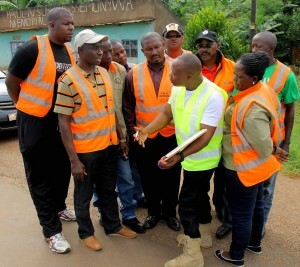 FMU Launched a Road Safety Campaign just before the recently concluded Masaka Rally in a bid to create awareness and help increase Road Safety not only during Motorsport events but also in the daily lives of citizens. Campaigns & Partnerships – The FIA has launched its own initiatives, such as the 10 Golden Rules and an online pledge in its mission to make roads safer. To mobilise for the cause, the FIA has also established numerous institutional and corporate partnerships with leading actors.